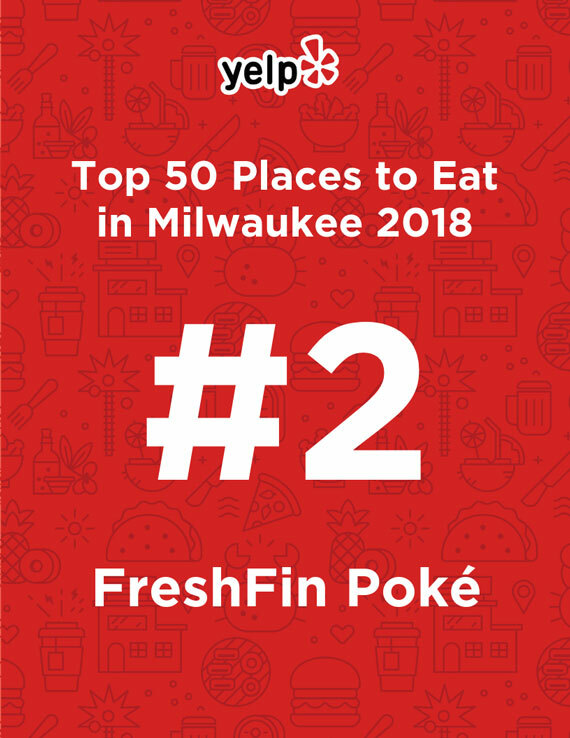 FreshFin Poké is proud to be a family and friend owned, Milwaukee based restaurant founded in January 2017! 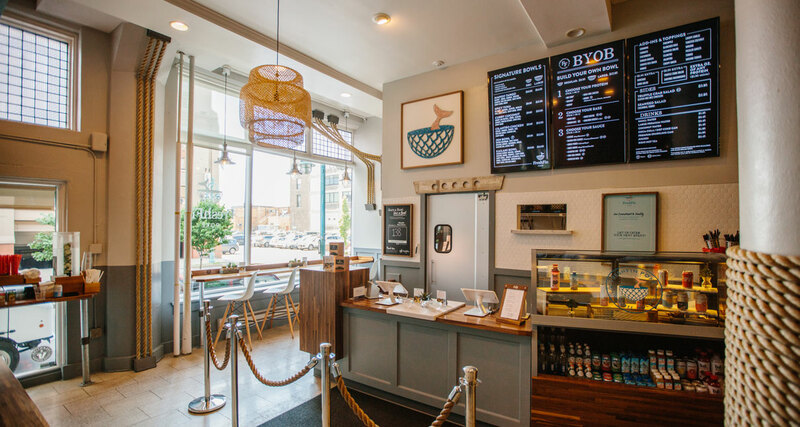 Our founding partners took the best parts from poké shops all around the US and made poké into their own. Within the first two-years, we have expanded to four locations throughout Wisconsin and are excited to announce future locations in the coming months. Check out Our Communities page to learn more about how we are making a positive impact where you live! Poké is the fastest growing dining option for eating a nutritious, filling, and flavorful meal. Traditionally, poké is a Hawaiian dish of raw fish topped with sea salt, sesame seeds, and onions. 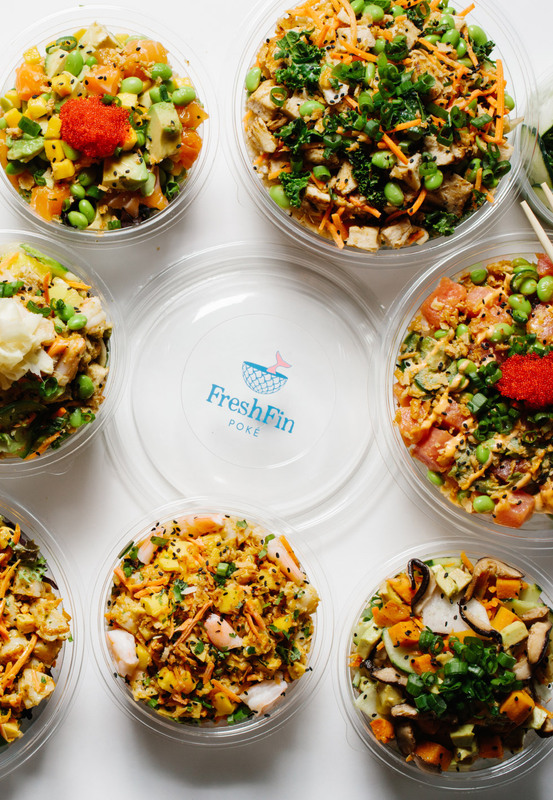 FreshFin Poké takes this Hawaiian cuisine a step further by mixing in hand-crafted, authentic sauces and a large variety of fresh toppings. Our Signature Bowls set us apart from other poké shops through our fusion of unique Asian ingredients that combine together for a one of a kind flavorful dining experience that is fast, healthy, customizable and affordable. If you are feeling creative, we have a Build Your Own Bowl (BYOB) option that allows you to explore all of our amazing combinations and flavors. 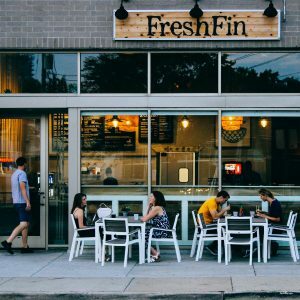 Check out Our Locations page to find the nearest FreshFin poké shop to you! We make conscious business decisions to ensure we serve food with integrity and to take care of the environment. To do this, we only source our fish from sustainable fisheries. 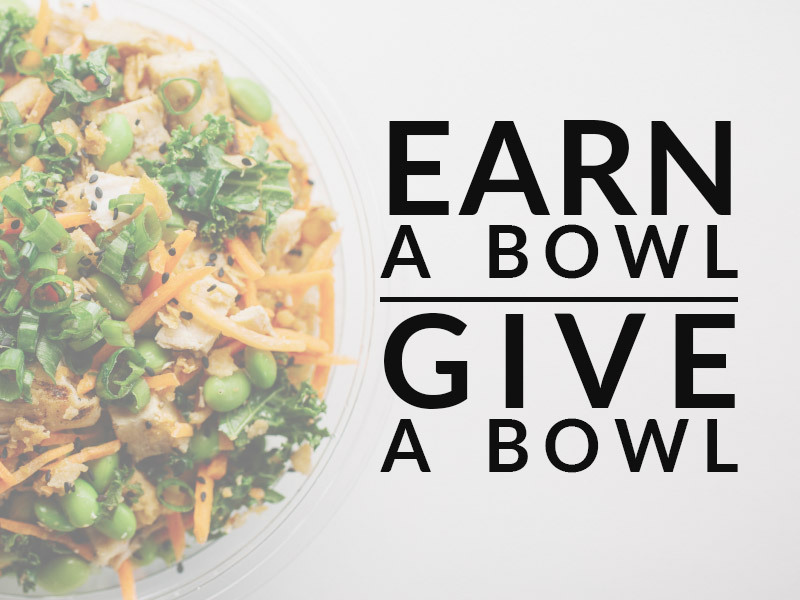 The majority of our poké shops use re-usable bowls for in house dining and we only use 100% recyclable products for our to-go orders. Check out Our Food and Nutrition pages to learn more about the food that we are serving you! 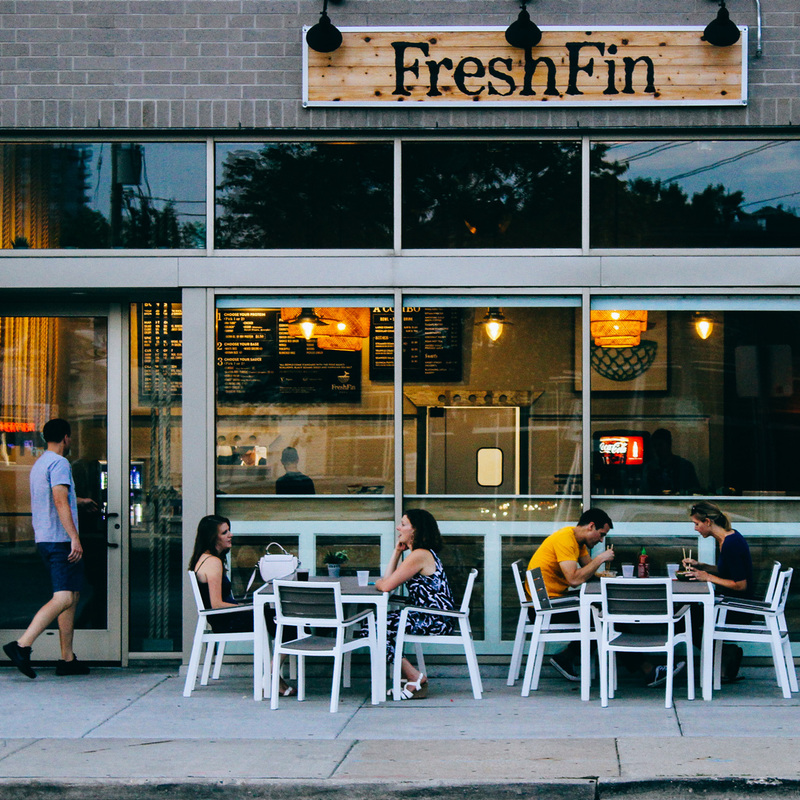 We make conscious business decisions to ensure we serve food with integrity and to take care of the environment. To do this, we only source our fish from sustainable fisheries. The majority of our poke shops use re-usable bowls for in house dining and we only use 100% recyclable products for our to-go orders. Check out Our Food and Nutrition pages to learn more about the food that we are serving you!